Wood you look at the time?.. Buying beautiful items that are designed to last is an absolute joy. Never being a fan of throwaway fashion I love pieces that withstand the fickle fashion trends. Step into the frame JORD wooden watches. Made by ‘artists, designers, marketers, and minders’ they are beautiful, different, classic and designed to last. In a world where every second counts, having a beautiful timepiece on your wrist is a luxury worth paying for. 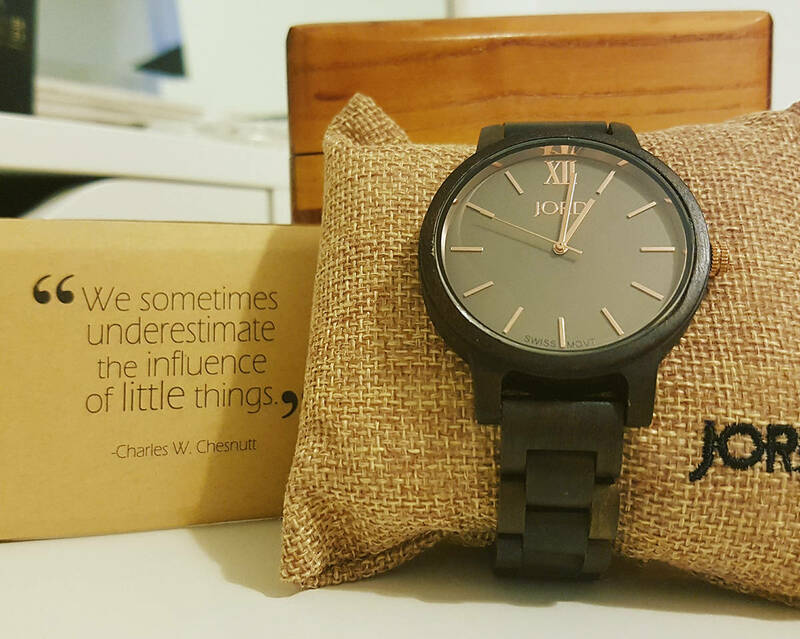 Undeniably, the JORD wooden watches are stunning to look at but I was as interested in their ethics; sustainability being at the top of the list. It took an age to chose the dark sandalwood and smoke watch to review. It’s so different to the white ceramic watch I’ve worn for years. 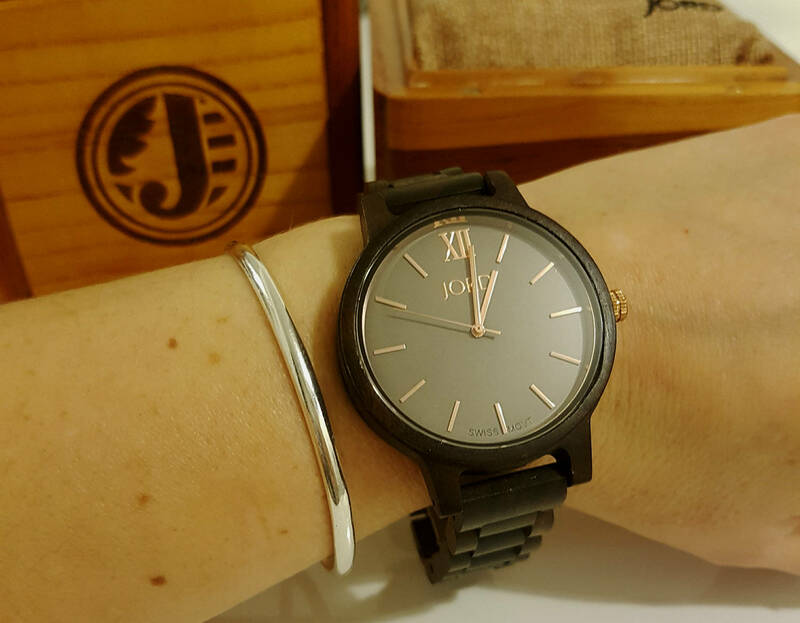 The wooden box is a beautiful touch, presentation is important and the box looks fab alongside my trinkets and treasures but helps make JORD watches a great present. You can see from the images the clarity of the watch face and how minimal the design is. The watch case is thicker and the face larger than those I am used to, but it is comfortable to wear, chic and the wood even warms a little as you’re wearing it! Taking care of the watch means using an oil to clean the natural wood. And storing it, using the box and keeping it out of extreme temperatures (hot or cold) is advised (don’t store it near a radiator or wet environment. At £149 this watch is a reasonable price for an exquisite piece of craftsmanship. Even better, there is an amazing $50 discount if you’re shopping for a JORD watch for yourself using the code 16ML6XTHYN3. I’ve set my sights on the Frankie 35. Previous Post This is your Captain Speaking!